Though yoga originated in India, it is no longer just confined to the country. Today, it has thousands of followers all over the world and many yoga centres and ashrams in every country. With the United Nations declaring June 21 as the International Yoga Day, it has acquired more prominence. In today’s hectic life, there is nothing like the practice of yoga and meditation to rejuvenate, relax and give you inner peace. There are many yoga and meditation retreats in India, but here are the 5 of the most sought after yoga and meditation retreats in India for you should visit for a deeply enriching and spiritual experience. With the amazing Himalayan Mountains providing the perfect backdrop and the pure and unpolluted climate in the offing, the Ananda Retreat is one of the best places to practice yoga and meditation in its purest form. There are yoga programs and teachers to train and help you practice different yoga asanas. 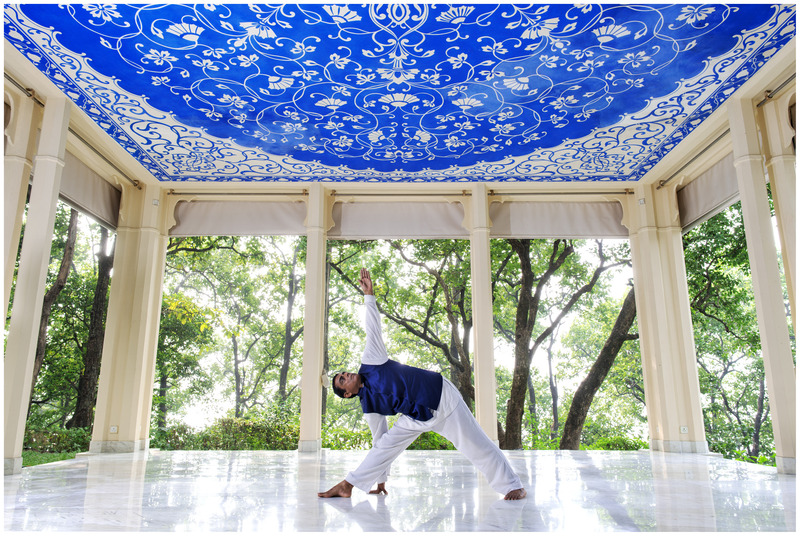 It is regarded as one of the most popular yoga retreats in the country, and people from all over the world visit the centre for a unique experience. The Retreat has also won several accolades for its services. As it overlooks the holy town of Rishikesh and the River Ganga , the Ananda Retreat is an ideal place to be one with the self through a yoga practice. They also offer several other programs such as Ayurveda, Vedanta and so on. The best thing about Shreyas Retreat is that it is tranquil and quiet. Since the retreat allows an intake of only 20 people at one time, you can practice yoga in peace, without having to jostle among a crowd. Spread over 25 acres with trees and plants, it is a best place to meditate and be with yourself. The Frangipani gardens lend the absolute mood and persuasion to forget worries and breathe deeply in the surroundings. Ashtanga and Hatha yoga are also taught here. They also provide customized yoga training which is perfect for novices. Isha Yoga Centre is a yoga and meditation centre that is renowned all over the world. It is a non-profit organization and welcomes one and all without any bias. Even if you have no prior knowledge of yoga can visit the centre and enroll in the programs. Of course, the scenic location provided by Velliangiri mountains where it is located lends the perfect backdrop for a spiritual, as well enlightening experience. It is run by Isha Foundation which is set up by the renowned spiritual guru, Jaggi Vasudev. Learning yoga here under well-trained practitioners will help you not only learn the techniques of yoga, but you will also understand its deep spiritual meaning. Gokarna, situated in Karnataka is a picturesque place with beaches and coconut plantations. The idea of practicing yoga on a beach with the cool breeze surrounding you and your eyes opening to the morning sun is indeed an unique experience. They offer a yoga program that combines many factors, with asanas and pranayama (breathing exercises) being the main components. Mantras or hymns and concentration are the other parts of the program. Apart from yoga, there are a number of activities as well with an aim to detoxify yourself physically and spiritually. One of the oldest yoga centres in the country, it is also a yoga research institutions which offers many programmes for those who wish to learn and imbibe yoga. One can spend many months here learning about the different yoga techniques. It also has a health centre and it was here that Mahatma Gandhi recuperated in the year 1927. Lonavala also offers certificate courses for all levels of learners and even for yoga teachers. With a sprawling area of 180 acres, the Ashram provides the best location for yoga. 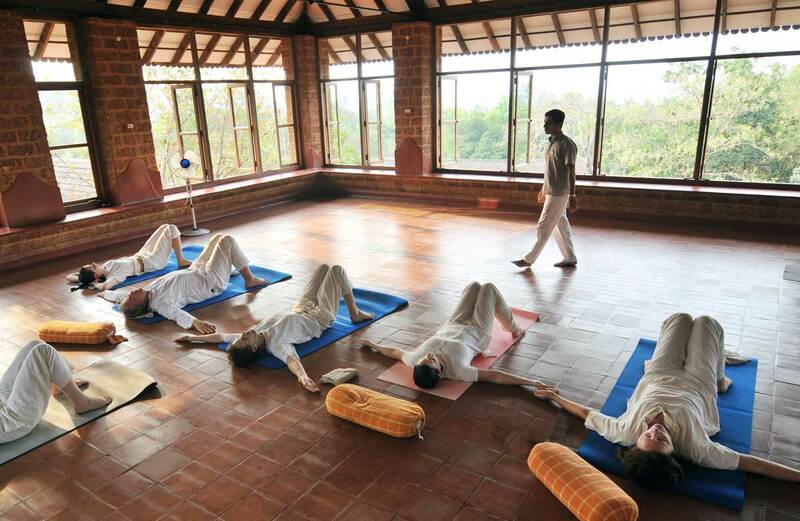 Being one of the oldest yoga institutions in the country and a research centre as well, the Kaivalyadhama Ashram will help you learn authentic yoga, which you can practice for the rest of your life. You can learn many different types of yoga and meditation here. At least a week-long stay is recommended.